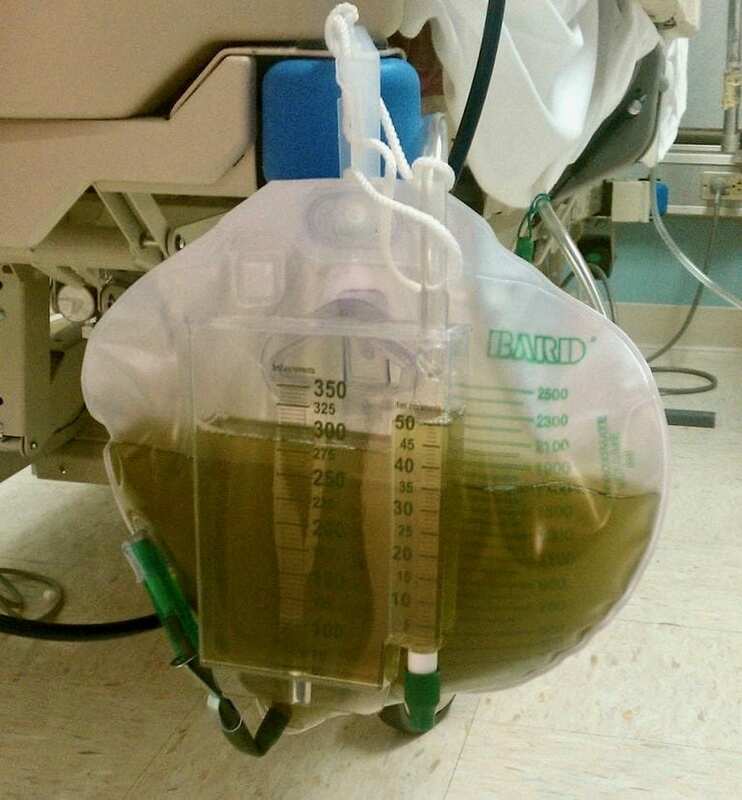 What is the most likely of this green urine? What is the significance of this happening? This phenomenon usually occurs in the setting of propofol being administered by infusion in at least a moderately high dose. However, it is a benign phenomenon and is not thought to be associated with an increased risk of propofol infusion syndrome or other badness. What is propofol infusion syndrome? 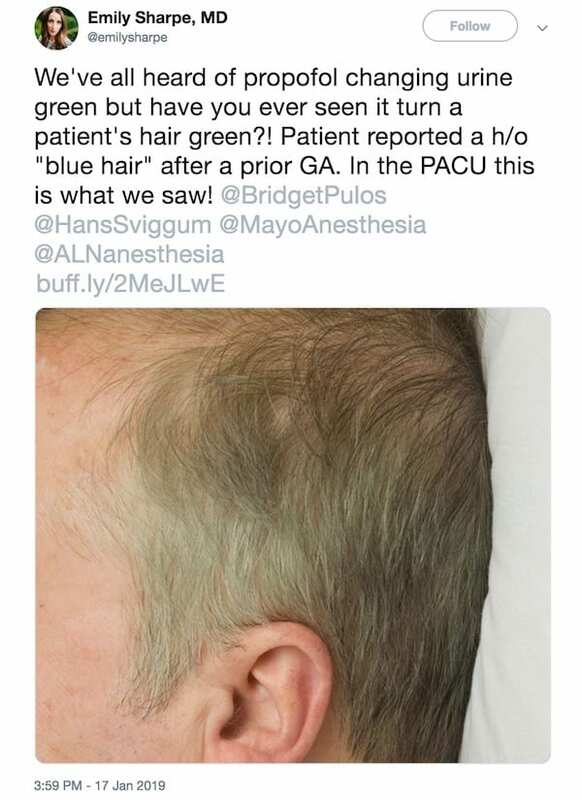 Propofol infusion syndrome (PRIS) is a potentially lethal condition that can occur in patients receiving a propofol infusion at high dose (e.g. >4mg/kg/h) for a prolonged duration (e.g. >29h). It was first described in children but can also occur in critically ill adults and may occur at lower doses. Note: The mechanism for PRIS remains obscure as does its true incidence. Can the onset of propofol infusion syndrome be predicted? Routine monitoring for biochemical markers such as serum lactate, creatine kinase, myoglobin, and triglycerides has been advocated for early detection of PRIS. However, even twice-daily evaluations of these laboratory studies – with immediate discontinuation of propofol if derangements are detected – may not be protective. Nevertheless, early discontinuation of propofol may lead to recovery. 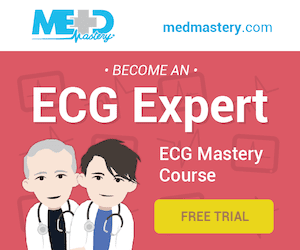 The development of a Brugada-like ECG pattern (right bundle branch block with convex-curved ST segment elevation in the right precordial leads) has been noted in some cases of PRIS but the utility of this finding is unclear. What else might go green?